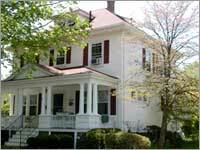 L’Arche Boston North currently has four homes in Haverhill, MA. Although L’Arche Boston North is spread over four different homes, the core members and assistants that live in each home come together to form one extended family. This is the first home that Irenicon opened in the Haverhill area. 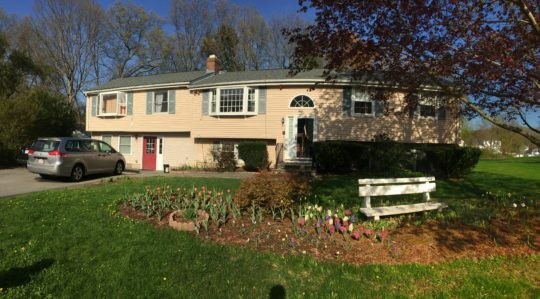 Four core members and three assistantslive together in this lovely single family home. The third floor and basement have been renovated intobedrooms for assistants. The back yard provides the community with an ideal spot for cookouts andother outdoor gatherings. The name Nazorean was chosen for this home because it was the townwhere Jesus lived throughout most of his childhood and as an adult until he was 30 years old. 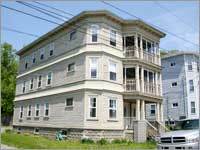 Peace House is a three level home that has a small apartment on each of its floors and is located near the heart of downtown Haverhill. Each apartment offers independent living while giving the feeling of one big family home throughoutthe three floors. Currently, a married couple receiving minimal support live on first floor. On the second floor an assistant and one core member make their home together. The third floor is occupied by a core member receiving minimal support. 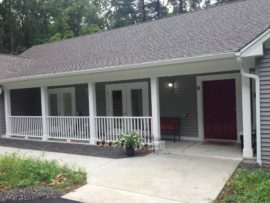 Our newly constructed fully handicap accessible 5 bedroom home opened September 2016, in Merrimac, MA., which is next to Haverhill, MA. This home will enable us to safely and comfortably provide for our aging core members. When you visit this home you will be impressed with the large lot and beautiful trees surrounding the property. It has an open porch in the front and a three season porch in the back. This home fulfills our promise to family members and guardians to provide “homes for life” for the core members in our community. Assisi House is a beautiful split level home located on a quiet cul-de-sac in Bradford. Four core members and three assistants live here. With nature all around, Assisi is an appropriate name for this home – St. Francis’s home was in Assisi and he was interested in the natural world of animals and possessed a love for a peaceful life setting. The back yard of this Bradford home is a natural setting for gardening, barbecuing and just plain relaxing.